Potter Elizabeth Lissaman made this bowl in 1934. 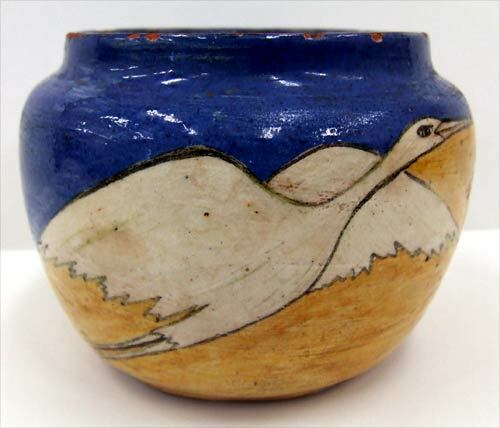 Brought up on the family sheep station Waireka, near Seddon, she was determined to be a potter from an early age. Newly married in the early 1930s, Lissaman lived on the Wakamarina River near Canvastown, and this bowl is made from Wakamarina clay.